The Super Bowl Indicator, a long-standing market superstition, suggests that stocks will perform worse if the Patriots win the big game than if the Eagles do. 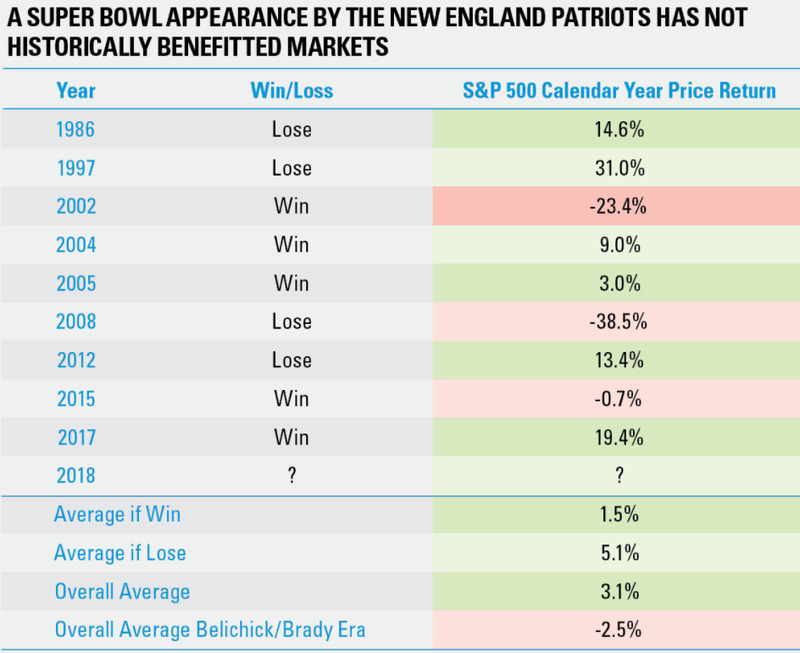 The S&P 500 has gained just 1.5% on average in years the Patriots emerge victorious, versus a 5.1% increase when they lose, according to LPL Financial data. This is a fun indicator that doesn’t have any real bearing on the market. As superstition tells it, when an AFC team wins the Super Bowl, it’s bad news for the stock market that year. 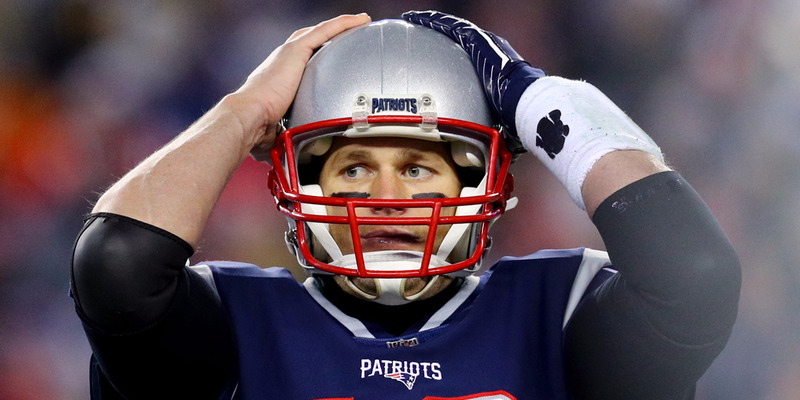 So if Tom Brady and the New England Patriots are victorious over the Philadelphia Eagles on Sunday, investors can expect a worse stock market performance than if their opponents win, according to a prognostication tool called the Super Bowl Indicator. The chart below shows how this has shaken out over 51 Super Bowls up to this point. Note that the average full-year return for the benchmark S&P 500 when the NFC wins has been almost double the performance seen when the AFC takes home the Lombardi trophy, according to data compiled by LPL Financial. Further, there have been fewer up years and more down years after an AFC victory, the data show. LPL drills down further into Super Bowls specifically involving the Patriots, and finds that the outlook gets even more stark when they win. 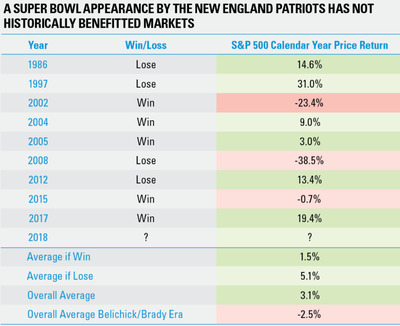 The S&P 500 has gained just 1.5% on average in years that the Patriots emerge victorious, versus a 5.1% increase when they lose, the firm’s data show. With all of this said, it’s important to note that the Super Bowl Indicator is a superstition, and holds no direct bearing on the stock market in a given year. It’s simply a fun angle to consider when watching the big game. So if the Patriots do win, fear not, because actual market conditions and fundamentals are what will dictate stock performance in 2018.